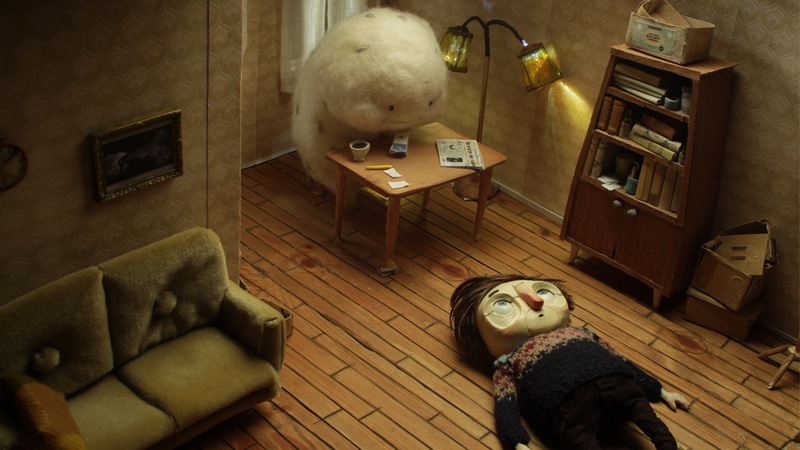 Festival-favourite 'But Milk is Important' uses Stop-Motion to create an accessible and relatable story that centres around a troubled character living with mental illness. Three years after its first screening, festival-favourite But Milk Is Important is finally released online. An 11-minute stop-motion film, that brings a pinch of humour to the serious subjects of anxiety and paranoia, this animated short has been charming audiences worldwide with its distinct style and endearing narrative. Created by Eirik Grønmo Bjørnsen and Anna Mantzaris as their graduation film from Volda University College in Norway, the filmmaking duo have created an accessible and relatable story that centres around a troubled character living with mental illness. Deciding to work together after they realised they shared similar visions for their graduation film, Bjørnsen and Mantzaris soon started to develop a narrative about a man and his unusual relationship with a creature that doesn’t belong to his world. Aiming to create a film with heart and humour, the filmmaking duo blend comedy with tragedy to make an unforgettable short. “We wanted to create a story that people could relate to”, Bjørnsen reveals in an email exchange with Short of the Week, “something that stayed with the audience after the film. Social anxiety is an interesting subject and we felt we could work with that quite a lot. The idea of having a man being afraid of people and finding different, silly ways to avoid them would be both funny but at the same time dealing with a more serious theme of living with a mental illness…People don’t seem to think about it too often, but small problems can be quite challenging for some people. Just usual everyday stuff, like getting the mail or making a simple phone call. Bringing in the creature as the annoying helper was our choice to make the story more original and charming. Even though the creature’s methods are a bit unconventional, it’s maybe that kind of help you need to get things going sometimes. Opting to employ stop-motion to tell their tale, because of how “real” it looked and felt, Bjørnsen and Mantzaris decided that by using an animation technique that employed materials that physically exist, it would give the story the impact it needed. “We are both very big fans of stop-motion and really like the aesthetics that the technique can offer”, admits Bjørnsen, “it was really important to us to keep a handmade feel but keep the quality as high as we could. The texture of different materials that can be captured in stop-motion is very valuable to us and we didn’t want to hide the fact that it is handmade. You can clearly see brush strokes and bits of cardboard here and there. Since atmosphere was important we also spent much time with camera settings and lighting to achieve the “right” feeling when setting up a scene”. With an impressive festival run the duo describe as “fun and also surreal” behind it, the filmmakers have long been working on new projects. Freelancing as directors and as animators on various projects, Bjørnsen and Mantzaris hope to use the success of But Milk Is Important to provide inspiration to make more short films in the future.